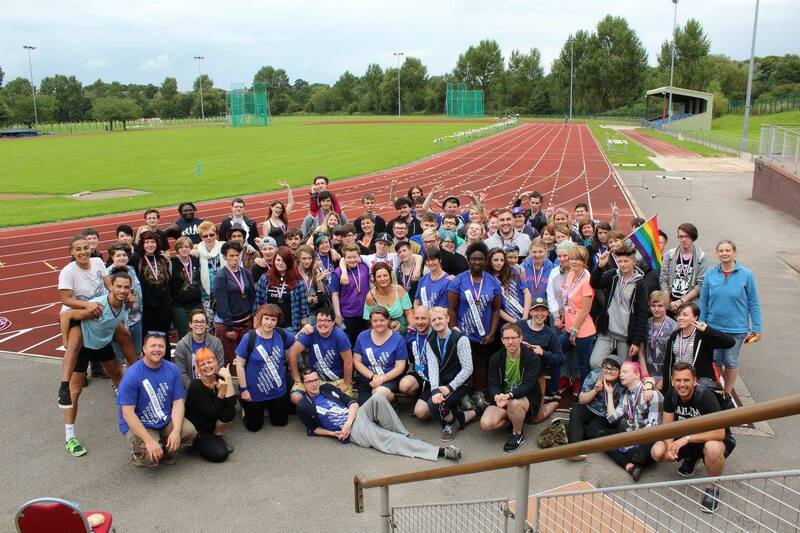 Pride Youth Games 2016 will take place in Stirling | LEAP Sports Scotland LGBTI young people aged 16-25. "> LGBTI young people aged 16-25. It’s back… Pride Youth Games+ 2016 is set to return again and this year will be held in Stirling. We are excited to announce that Pride Youth Games+ is back and this year will take place at the University of Stirling from Friday 5th to Sunday 7th August. The Games are a UK wide event for LGBTI young people aged 16-25. The University of Stirling has world class sporting facilities and we are delighted to have the opportunity to try some of these out with options this year including swimming, tennis, roller derby and kayaking. We’ve already opened our sign up for this year, if you would like to apply to come along to the Games, you can do so here: Click here to apply for 2016! If you haven’t attended the Games before, check out these photos from last year to get an idea of what we get up to. This year’s Games will also coincide with the opening of some lesser important games taking place in Rio, Brazil at the same time and we’re going to attempt a live video link to Pride House in Rio during the weekend. If you have any questions or if you’d be interested in applying to become a volunteer for the event then you can email us info@leapsports.org. Written on 14th April 2016.